As for the IXUS 140 / ELPH 110 IS, it could be described as a sheep in wolf's clothing. It looks and feels like a high-end IXUS / ELPH, but in reality, aside from the longer zoom there's little to set it apart from the less expensive, but equally capable PowerShot A3500 IS. As such it's hard for me to recommend it over the cheaper model. So again if you don't need an 8x zoom, go for the A3500 IS, A2600 or A2500, and if you fancy an IXUS / ELPH that sports the feature-set the brand deserves, go for the Canon IXUS 255 HS / ELPH 330 HS. The Canon IXUS 140 / ELPH 130 IS is a 16 Megapixel point-and-shoot compact with an 8x optical zoom and a 3-inch LCD screen. The earlier 2012 IXUS / ELPH range was exclusively built around Canon’s High sensitivity back-illuminated CMOS sensors, with each IXUS / ELPH model carrying the HS suffix. The range also relied on Canon’s newest Digic 5 processor. For 2013 though, Canon has reverted to CCD sensors and the older Digic 4 processor for the lower end of the IXUS / ELPH range which includes the IXUS 140 / ELPH 130 IS, the IXUS 135 (not available in the US) and IXUS 132 / ELPH 115 IS. These three models replace the earlier entry-level IXUS 125 HS, expanding the range from four to six. The change of sensor and processor means the new IXUS / ELPH models lack some of the features of their predecessors. The sensitivity range has a maximum setting of 1600 ISO compared with 3200 ISO on the earlier models, there are fewer Smart Auto scenes and fewer selectable shooting modes too. The IXUS 140 / ELPH 130 IS also lacks the 1080p Full HD movie mode of the older IXUS / ELPH models, with a top quality 720p HD mode at 25fps. If this all looks like travel in the wrong direction, the IXUS 140 / ELPH 130 IS does at least offer wi-fi connectivity, and you can geotag images via your smartphone. It also has a much wider optical zoom range – 8x compared with 5x on the older entry level IXUS / ELPH models. Previously, if you wanted an IXUS / ELPH with a big zoom, you’d have paid quite a bit extra for the 12x range-topping IXUS 500 HS / ELPH 520 HS, which remains in the 2013 range if you’re looking for a compact with a longer zoom. And, while we’re on the subject of cost, the IXUS 140 / ELPH 130 IS and its entry-level IXUS / ELPH siblings are more affordable than earlier generation IXUS ELPH models. On the face of it, the IXUS 140 / ELPH 130 IS looks to be something of a compromise. It has a longer zoom than earlier comparable IXUS models and retains the 3 inch 460k LCD screen, metal body, stylish good looks and class reputation of earlier IXUS models at a lower price point, but inside it’s a less advanced model than its predecessors. In my review I’ve compared the IXUS 140 / ELPH 130 IS against the more sophisticated IXUS 255 HS / ELPH 330 HS and also tested it alongside the PowerShot A3500 IS which shares the same 16 Megapixel CCD sensor and Digic 4 processor, but has a 5x zoom. A glance at the IXUS 140 / ELPH 130 IS and it’s clear that, while a lot’s changed on the inside, the exterior is little different from the earlier IXUS 125 HS / ELPH 110 HS. Measuring 95 x 56 x 21mm and weighing 133g including the battery and card, the IXUS 140 / ELPH 130 IS is more or less the same size and weight as its predecessor. It’s solidly constructed with a metal shell and is available in one of four colours. I reviewed the dark grey model which is handsome in an understated sort of way, there’s also silver or, if you prefer something bolder, pink, and red. Aside from a tendency to a squarer design with fewer curves, the IXUS / ELPH body shape hasn’t changed radically for a couple of years and, true to form, the IXUS 140 / ELPH 130 IS looks like a slightly harder-edged version of its predecessor, though there’s still a classy softness to its edges. Another classy touch is the etched labelling on the lens cover, only by holding it at just the right angle can you read the CANON ZOOM LENS 8X IS 5.0-40mm 1:3.2-6.9 inscription. With the power off and lens retracted, the bezel protrudes a millimetre or two from the body (slightly more at the top and bottom, where the front panel slopes, than on either side). The lens assembly itself sits in a slight dip in the front panel. Small design features like this will go unnoticed by many, but they all add up to an overall look and feel that exudes style. It’s practical too, the IXUS 140 / ELPH 130 IS is easy to slip in and out of the tightest of jeans pockets. Aside from the Lens, AF illuminator and built-in flash at the top left corner, the front panel is mostly labels, the raised vertical silver Canon branding doubling up as a finger grip. The top panel is home to the recessed black plastic on/off button and the larger shutter release button with its zoom collar surround. A small hole above the lens axis indicates the location on the mono microphone and there’s a small grille on the right end that covers the speaker. The IXUS 140 / ELPH 130 IS has an 8x optical zoom with a 35mm equivalent range of 28-224mm. It’s the same lens as on the other two entry level ELPH / IXUS models, the IXUS 135 and IXUS 132 / ELPH 115 IS. 8x is a capable range for a compact in this price range, providing a maximum telephoto focal length of 224mm which will get you reasonably close for field sports and the occasional wildlife shot, though if you shoot a lot of this kind of thing and want long telephoto reach you should really be looking at the PowerShot SX280 HS or one of the Panasonic travel zooms like the TZ40 / ZS30. At the wide angle end of the range the IXUS 140 / ELPH 130 IS is well suited for landscapes and interiors, though it lacks the 24mm super wide angle view of the earlier ELPH 110 / IXUS 125 HS and many other compacts in this price range. But it’s easy to be critical and the fact is that the IXUS 140 / ELPH 130 IS will get you nearly twice as close to the action as its predecessor with a range that will be more than adequate for most situations. With a maximum aperture of f3.2-6.9 the IXUS 140 / ELPH 130 IS’s lens isn’t quite as bright as the f2.7 maximum aperture on the earlier IXUS 125 / ELPH 110, but with Canon’s Intelligent IS optical image stabilisation you can shoot using much slower shutter speeds than would ordinarily be possible without blurring as a result of camera shake. Canon claims Intelligent IS provides 3 stops of stabilisation on the IXUS 140 / ELPH 130 IS, to test that claim I zoomed it to its maximum 224mm zoom and took a sequence of shots in fading light both with and without the stabilisation enabled. As you can see from the crops below, you can shoot hand-held with the IXUS 140 / ELPH 130 IS at speeds down to 1/10 and still get sharp results. That’s an impressive result well in excess of the three stops of stabilisation claimed by Canon. 100% crop , 5-40mm at 40mm, 100 ISO, 1/10th, IS off. 100% crop , 5-40mm at 40mm, 100 ISO, 1/10th, IS Continuous. The IXUS 140 / ELPH 130 IS features Canon’s Smart Auto mode which uses scene detection to determine the best exposure settings. As a result of the switch to the older Digic 4 processor, Smart Auto is less sophisticated than on the older Digic 5-equipped IXUS 125 / ELPH 110 and the IXUS 140 / ELPH 130 IS has a choice of 32 scene types compared with 58 previously. Despite that, the IXUS 140 / ELPH 130 IS copes well in all kinds of situations and usually makes a pretty accurate guess at what’s in front of it, resulting in good exposures. Flip the switch from the green Auto position to the camera icon and you have the choice of Program Auto and numerous other modes selected from the Func. Menu. These include Smart Shutter which can automatically take shots when a smile or wink is detected or when a new face enters the frame and provide a more reliable option for self-shooting than a timed delay, though there’s also a conventional self-timer mode with 10-second, 2-second and custom delays. Creative Effects are also included on this menu with the choice of Miniature mode, Toy Camera, Monochrome, Super Vivid, Poster Effect, Colour Accent, and Colour Swap. There’s also a handful of conventional scene modes including Portrait, Low Light, Snow, Fireworks and Long Shutter. Canon continues to include the Stitch Assist panorama modes which helps you line-up and overlay shots for later stitching outside the camera using software that’s supplied in the box. 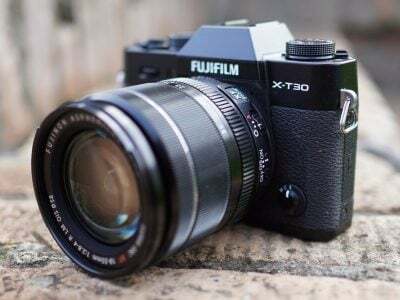 But with a plethora of other models from Sony, Panasonic and Fujifilm offering simple and effective in-camera panoramic modes, it’s hard to imagine why anyone would bother with this. Shown below you can see from left to right on the top row Fish-Eye Effect, Toy Camera Effect and Monochrome, and on the the bottom row Super Vivid, Poster Effect and Colour Accent. Notable by their absence are face recognition (not face AF, but the ability to register faces which are then recognised and prioritised for focus and exposure as well as tagged with the individual’s name), the Hand-held Night Scene composite mode, and Super slow motion movie modes – all casualties of the switch to the older Digic 4 processor. The IXUS 140 / ELPH 130 IS can shoot 720p video at 25fps and also has a standard resolution 640 x 480 mode if you want to fit more video of a lower quality onto a limited capacity SD card. Movies are encoded using the efficient H.264 codec and stored on the card as QuickTime files with a .mov extension in the same folder as stills. The maximum recording time for a single clip in 720p mode is 10 minutes. You can use the optical zoom while recording and the IXUS 140 / ELPH 130 IS has a mono mic. Pressing the movie record button in any mode starts recording, In Smart Auto mode the IXUS 140 / ELPH 130 IS uses scene detection and you can also shoot in Program Auto mode, where the ISO sensitivity is automatically set along with the other exposure controls. The creative filters, including miniature mode, (see the example below) can also be used when shooting movies. As with other Canon compacts you have to first switch to 16:9 still image format to shoot in effects modes at 720p resolution, otherwise it defaults to 640×480. And at the risk of sounding like a broken record, the reversion to the older Digic 4 processor means the IXUS 140 / ELPH 130 IS lacks the Super Slow motion movie modes of its predecessor. This clip, like the others below was shot using the IXUS 140 / ELPH 130 IS’s best quality 720p video mode. The quality is good and the AF does a good job of keeping everything in focus even during the zoom. And the stabilsation keeps things nice and steady, even at the full extent of the 8x zoom. For this tripod mounted pan the image stabilisation was turned off. These overcast conditions don’t really test the CCD sensor to the full, but to give it its due the IXUS 140 / ELPH 130 IS does a good job with both the exposure and focus here. There’s quite a lot of noise visible in this interior low light panning shot and the colour looks a little desaturated, but, once again, you can’t fault the IXUS 140 / ELPH 130 IS on exposure control and AF performance. To test the continuous AF performance of the IXUS 140 / ELPH 130 IS I zoomed the lens in a little and panned from the close-up coffee cup to the bar and back again several times. It does pretty well here, transitioning the focus from near to far and back almost as soon as the camera starts moving. Finally, here’s an example of the IXUS 140 / ELPH 130 IS with the Miniature effect. It’s quite versatile, with the option to choose the size and position of the focus zone and the choice of three speeds. This is the middle 10x setting which plays back two minutes of real time shooting in a 12 second clip. Aside from the relocation of the shooting mode button to the rear panel from the top, the IXUS 140 / ELPH 130 IS provides a very similar handling experience to its predecessor. The menus are accessible but with most functions allocated to either the four-way controller or the Func menu the main menu itself is something you won’t need to use that often. I haven’t got particularly large hands, but I found the four-way controller difficult to operate with my thumb and using my thumbnail was the only way I could be sure of getting what I wanted, which is a bit fiddly. The IXUS 140 / ELPH 130 IS is equipped with wi-fi, which you can use to wirelessly transfer images to a computer, for wireless printing, to send shots to sharing and social networking sites via Canon’s image gateway platform and to connect and transfer photos to a smartphone. You can also use the GPS capability in your smartphone to tag images on the IXUS 140 / ELPH 130 IS. Uploading images and video to Twitter, Facebook and YouTube is less straightforward than it could be due to the need to first sign up for a Canon image gateway account and register your camera. 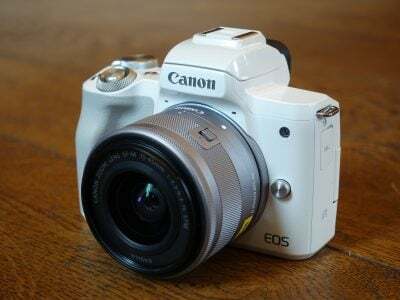 To do that, you must first install the CameraWindow program and connect the camera using the supplied USB cable. Having done that, when I tried to set up Web services, CameraWindow told me I needed to download and install an SSL certificate on the camera, but didn’t tell me how to do that. I clicked on OK, thinking the application might do it for me, but no such luck, just a further message saying ‘failed to install SSL certificate. At this point my guess is that most people will probably give up and simply use their smartphone to upload to social networks once images have been transferred to it. When connecting to a smartphone you can either either establish a peer-to-peer connection using the camera as an access point or connect both devices via another access point, but like most cameras you can’t log into a public wi-fi hotspot. Viewing and downloading images using the mobile CameraWindow app is a breeze once the connection is established. I tested it on my iPhone 4S where the app gives you the option of downloading originals or medium or small resized shots. Overall, the wi-fi functions of the IXUS 140 / ELPH 130 IS are basic, but workable, and it’s a feature worth having if you also have a smartphone or tablet. Having said that, the complicated and troublesome setup and need to use Canon’s Image Gateway web service as an intermediary to social networking sites makes it all a lot more bother than it needs to be. The IXUS 140 / ELPH 130 IS has 16.1 Megapixel CMOS sensor that produces images with a maximum size of 4608 x 3456 pixels. Two compression options are available – Fine and SuperFine, the latter producing JPEGs around 5 – 8MB in size. The shutter speed range is 15 – 1/2000 (1-1/2000 in Program Auto mode) and the sensitivity range is 100 – 1600 ISO. To see how the quality of the IXUS 140 / ELPH 130 IS measures-up in practice, take a look at my IXUS 140 / ELPH 130 IS quality and IXUS 140 / ELPH 130 IS noise results pages, browse my IXUS 140 / ELPH 130 IS images, or skip to the chase and head straight for my verdict.